please suggest me on NCC Ltd., i am holding 700 @ Rs. 108/-. Holding sunpharma 560 PE @10. Should I wait or exit from position. Also share your views on Cipla and Titan. Can I buy this now ? What is your target and SL ? Hi CB Sir, can I add Maruti/ITC/LT at current price for long term? Please suggest. S/l 10875 Target Bel 10800 (Positional. OR Buy 10800PE / 10700PE. 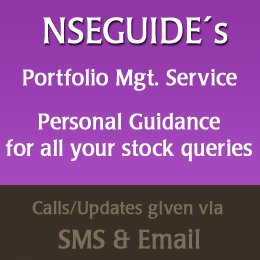 Your view on sanwariya consumer..
Suvojit gammon infra is in lower circuit today ? Why are you suggesting it for buy when it is in lower circuit ? sorry, was not online yesterday. Hi Vinod, technically is in a downtrend. not really sure of entering it yet. Hi Monisha, does look weak. can test 550 in coming days.